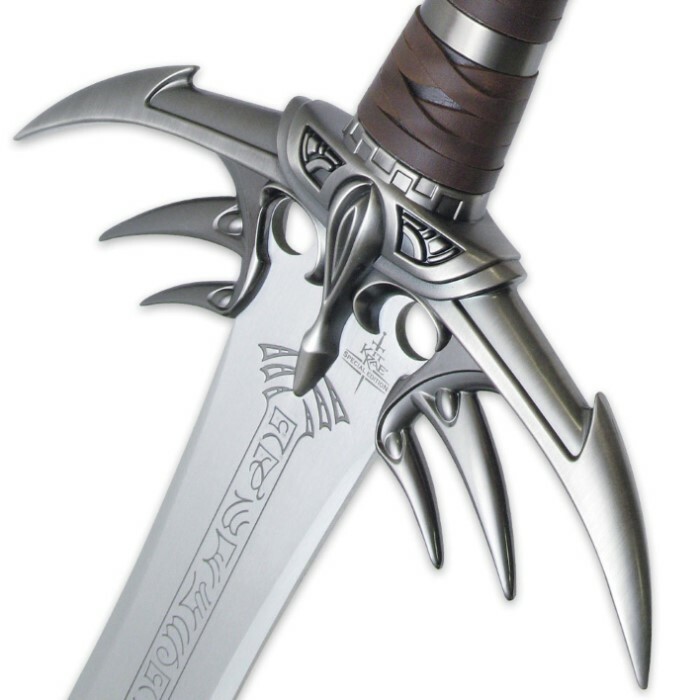 A special edition of Anathar from the Swords of the Ancients™ collection! Anathar was the ruling sword, the largest and most powerful of the original Ten Swords made to bring order to the world. 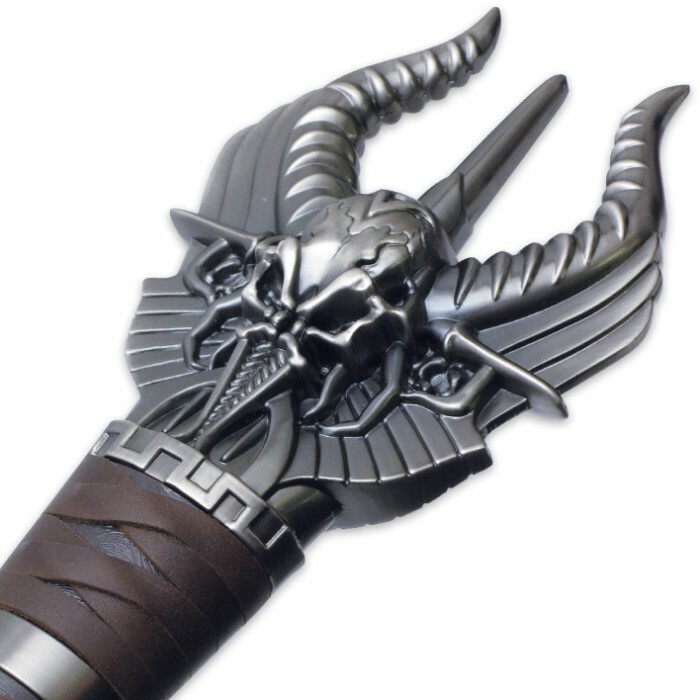 Forged by Toukol for Atnal in the Fourth Age, Anathar’s hilt was forged with a triple cross guard, a leather wrapped grip and a pommel wrought in the image of the Ancient Ones. Its blade was engraved in Thant runes, an ancient language of the Anath, naming it the Sword of Power (from the Swords of the Ancients mythology). Anathar features a 420 stainless steel (false edged) blade with deep fuller grooves on both sides and a laser engraved Kit Rae emblem. 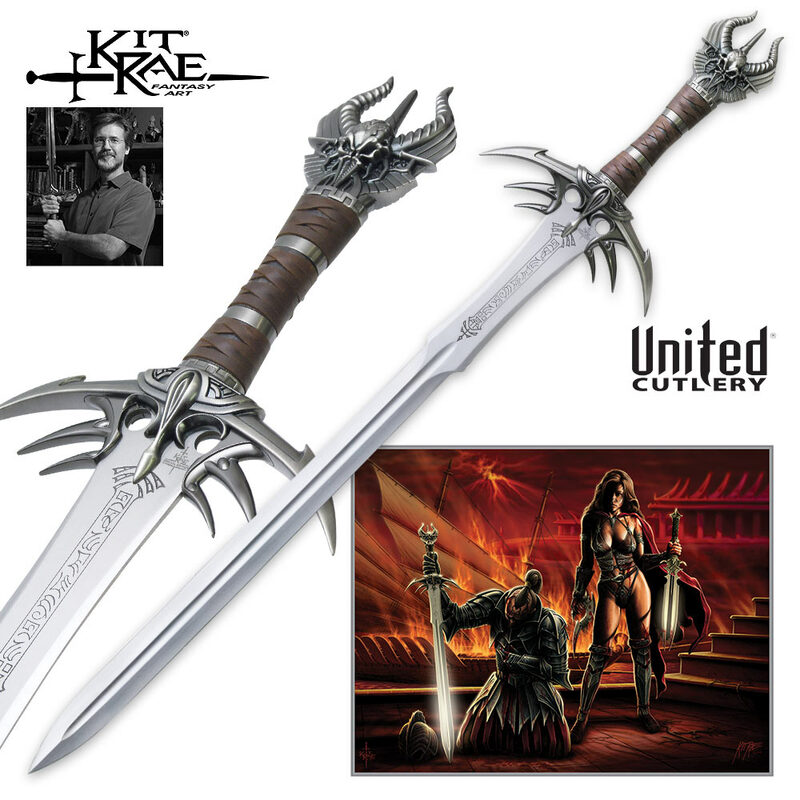 This special edition features a genuine leather wrapped grip, not found on the original sword. Includes a custom art print and a certificate of authenticity.